Joseph D. Weber D.M.D. was born and raised in the immediate Gainesville, GA area. He attended local schools as well as being a graduate of Gainesville High School. He graduated from the University of Georgia with a degree in Psychology, and received his dental degree from the Medical College of Georgia School of Dentistry in 1991. Dr. Joe Weber now practices in the Gainesville, GA area as a cosmetic dentist, sedation dentist, general dentist and family dentist. Endodontic training with Dr. Kit Weathers and Dr. Clifford Ruddle. Dr. Weber and his wife Lynn are parents to three children: Drew, Anna Lee, and Ben. 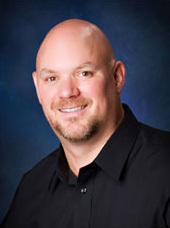 Dr. Weber and his family are members of Lakewood Baptist Church where he holds the position as a Deacon. Dr. Weber is involved in the many activities and functions that three children bring. He also received his Eagle Scout award from troop 26 of Gainesville many years ago and hopes one day that his sons will receive that award as well.